To avoid estate litigation, The purposes behind estate planning are to instill confidence, remove doubt, and ease the client’s fears about the future. And that’s exactly how it works for most of our clients. But a few are plagued with new levels of uncertainty once the last page is signed. While there are no absolute guarantees when the law is concerned, we can do our best to put these clients’ minds at ease. It’s very rare for a will to be challenged; the commonly accepted estimate is that 99 percent of wills sail through probate without objection. Even when a will is contested, the legal challenge rarely succeeds: the statistics suggest that only one to three percent of will contests are upheld. It’s hard to find reliable figures about challenges to trusts, because those instruments are not reviewed in the public forum of probate court. Still, the general impression is that legal challenges to trusts are rough as unlikely as will contests, and have about the same low rate of success. But for the person who demands reassurance, one way to get a feel for whether estate plans might trigger a legal challenge is to look at the grounds used to contest wills and trusts. 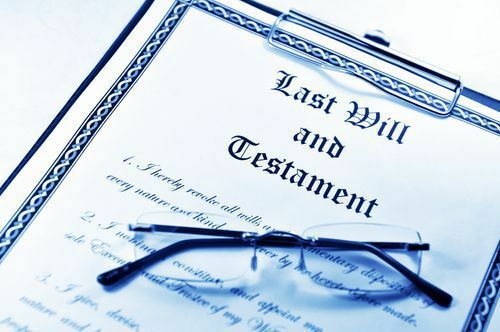 Once a client appreciates the types of challenges that could be made against his or her documented final wishes, the will can be analyzed for vulnerability to each objection type. Then, if necessary, the client and his or her attorney can take steps to remedy any flaws that have been found. The will was not signed by the testator. There was only one witness, or no witness at all. Either of the witnesses was not present when the testator signed. Either of the witnesses did not also sign the will. One or both of the witnesses were not aware that the document was the testator’s will. One or both of the witnesses were not age 18 or older. There are several other formal requirements for crafting a valid will, and violating any of them can result in a will that the courts will not enforce. This is just one reason why relying on “do it yourself” will-making computer programs and self-help books instead of professional legal advice can lead to disappointment. If the formal requirements of making the will were observed, mounting a successful challenge to the document becomes a much harder task. A claimant—someone whose interests would be penalized if the will is taken as valid—must be able to provide evidence and reasoning why the will should be rejected. For instance, a close family member or friend whose share of the estate is reduced (or eliminated) from what it might otherwise be could have #standing to challenge the will. The claimant must argue that the will should be rejected for a specific reason. We will briefly look at the seven reasons most commonly used as grounds to invalidate a will. The argument here is that the testator has fallen under the sway of a person—perhaps a caretaker, a friend, a child, or a new romantic interest—who has displaced the lifelong affection of others in order to gain an undeserved portion of the estate. The level of influence must be so great that the testator wouldn’t have been able to exert his own free will or good judgment. It’s often necessary for a claimant to prove that the testator had become excessively dependent on the beneficiary, either in terms of physical needs (such as food, shelter, or personal care) or social needs (including contact with other people). Sometimes called lack of testamentary capacity, this claim is that the person making the will was not mentally competent to do so. Under California law, a person must have attained the age of 18 in order to make a valid will; younger people are automatically considered to lack testamentary capacity. But the majority of challenges that fall into this category will involve claims that the testator was mentally ill, under the influence of alcohol or drugs, or a victim of dementia. This is a specific form of fraud, in which a document purporting to be a will or trust is not truly the work of the testator or donor, or the signature on such a document is faked. Proving forgery of a will or trust typically requires testimony by handwriting and document experts. A will or trust must be created as the voluntary choice of the testator or donor. When someone uses threats against the person or against his loved ones in order to force the drafting of a document, that document is not valid. California courts try to follow the plain meaning of a will’s or trust’s provisions. However, if the document is worded in an unclear or ambiguous manner so no single clear meaning can be extracted, the courts may rule that part of the will cannot be enforced. Bequests that come with conditions attached sometimes trigger challenges on the grounds that the requirement, if followed, would be contrary to the spirit or letter of the laws. For instance, a provision that required an heir to commit a crime before he would be able to claim his inheritance would encourage violation of the laws; likewise, a gift of real estate that required the new owner never to sell the property to a person of a different religion or race directly opposes public nondiscrimination policies. The courts will often easily set aside such conditions. “No contest” clauses in wills also have been challenged as contrary to public policy. Those clauses say that any potential heir who contests the will may not inherit anything if the legal challenge fails. California law specifically limits the reach of such provisions. Beginning in 2010, any claimant who has probable cause in challenging a will cannot be disinherited due to a “no contest” provision. California courts tend to give the makers of wills and trusts the benefit of the doubt. They will usually defer to the wishes expressed in a well-drafted will—which is an additional incentive to avoid “do-it-yourself” estate plans and seek the guidance of an attorney. Learning the Root Causes of Estate Litigation May Allow You to Avoid Having Your Will or Trust Invalidated But you cannot assume the courts will reject every possible challenge to your final wishes. Defending against even a frivolous estate lawsuit can be expensive—and the money to fight a claim will be siphoned from the value of your estate. While it may be impossible to design a trust or will that is completely immune to challenges, a skilled estate attorney can make sure that defending your intentions is the centerpiece when your estate plan is created or revised.